Are you stuck in the middle of assignments and need an excuse to take a break? Well, it is Mother’s Day in just a couple of days, so why not treat yourself to a couple of hours of guilt-free procrastination and make your mum something nice to show her you love her? Here is the result of my own procrastination – a cluster of pretty felt flowers, one for each lovely lady – Mum, Mom, Nan and Nana. I tried to choose a design which suited each lovely lady. Once finished, I sewed a brooch fastening on the back of each and then, to save me another job, pinned them onto four cards. I think the result is pretty sweet myself. The hippie-ish purple embroidered bloom for my Mum, Cath (the beautiful lady in the picture above). 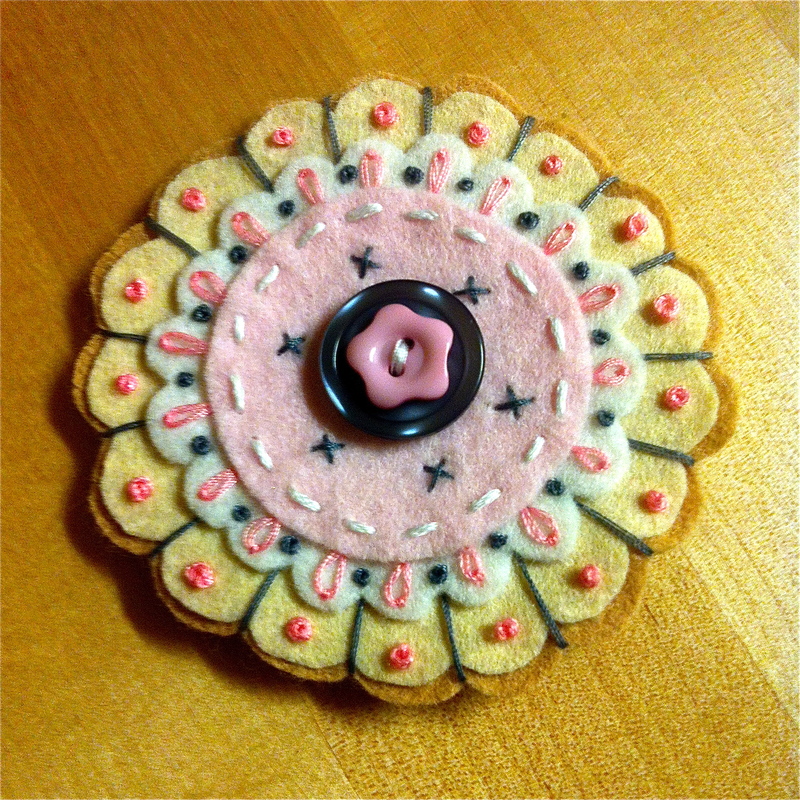 An ice-cream and biscuit toned embroidered flower for Jon’s Mom, Debs. A pure white rose with silver beads and soft grey petals for my Mum’s mum, Nana Jacquie. And finally, clustered hydrangea blooms in pink and white with sparkles for Jon’s Mom’s, Mom, Nanny Ivy. 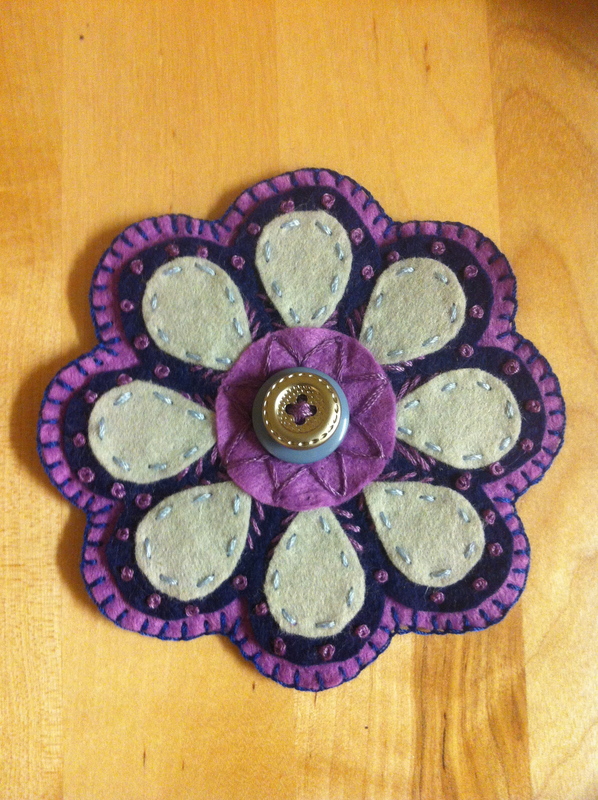 I love working with felt – the texture and colours – and I love how the brooches turned out. Of course, you can also mount these flowers on headbands and hair clips, turn them into necklaces, use them to embellish items such as cushions, purses, bags or clothing. My sister-in-law’s bouquet was made entirely of felt flowers. 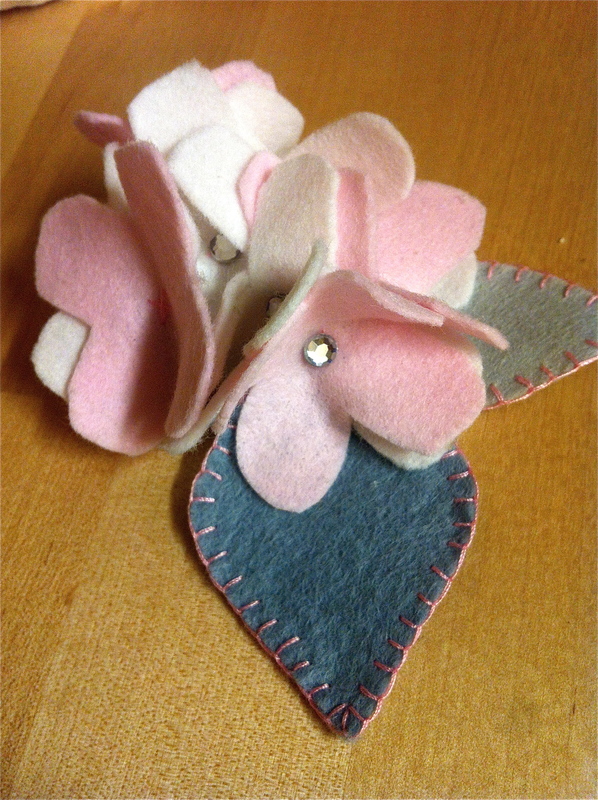 It’s such a versatile material and these flowers were so simple and quick to make. Felt glues brilliantly too, just use a dab of PVA, then the thread is just for embellishment. It also makes for pretty inexpensive but impressive projects. 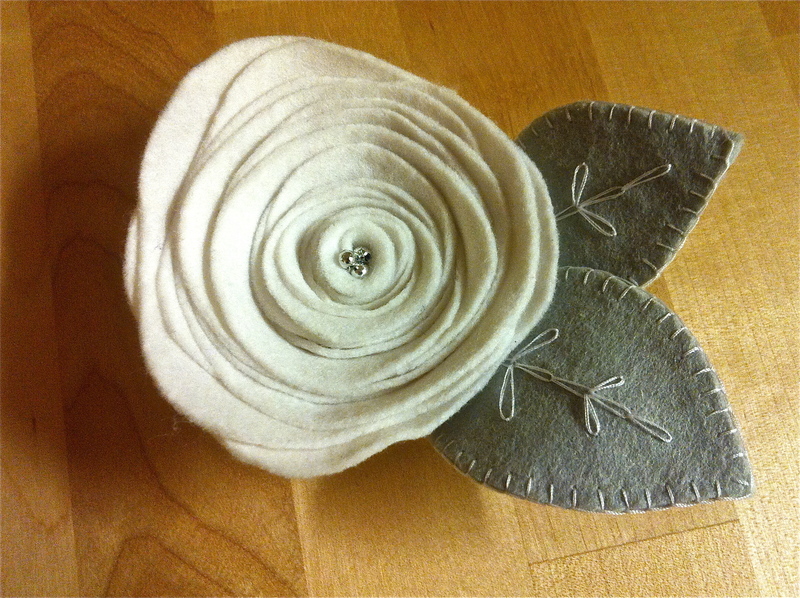 I thought these turned out pretty well and am looking forward to experimenting to see what else I can do with felt. There are tutorials a-plenty out there, so get yourself onto Pinterest for some top guides to making a beautiful gift for your mum this mothers day.